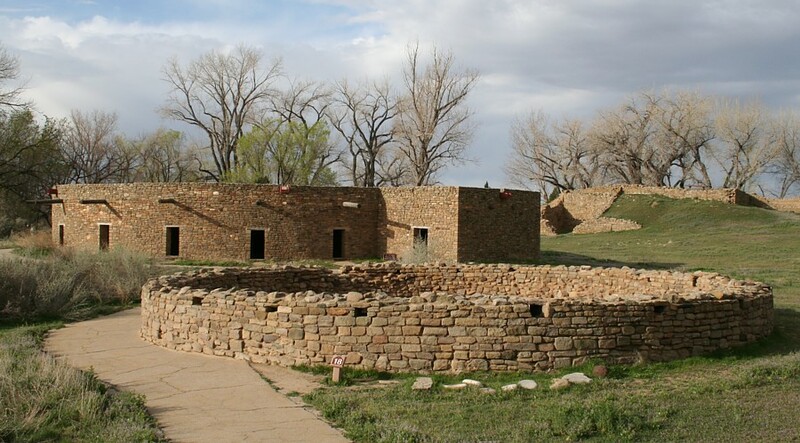 masonry rooms and kivas, roads, earthworks, and prehistoric canals. 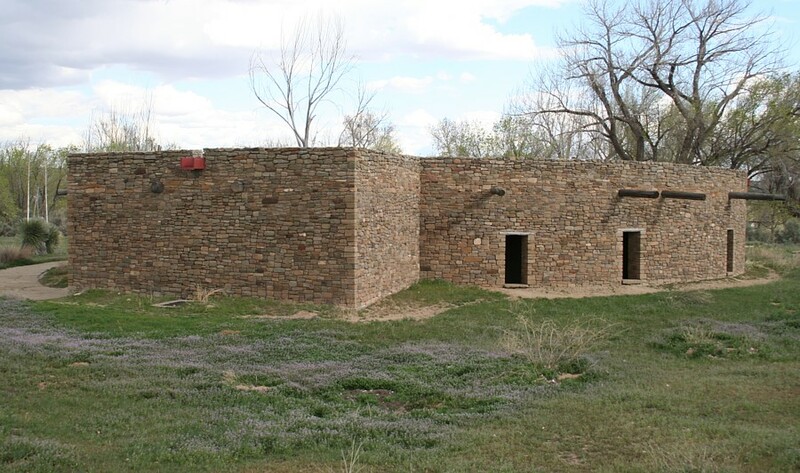 the only reconstructed great kiva in the American Southwest, a picnic area, and accessible trails. 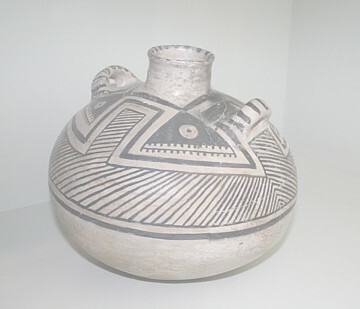 Aztec is a misnomer—the Ancestral Puebloan town has no known associations with the prehistoric Aztecs of Central Mexico. Early Anglo settlers, who knew little of American prehistory, first named the ruins and the town drew its name from the ruins. The first record of Anglo visitation at Aztec dates to 1859. 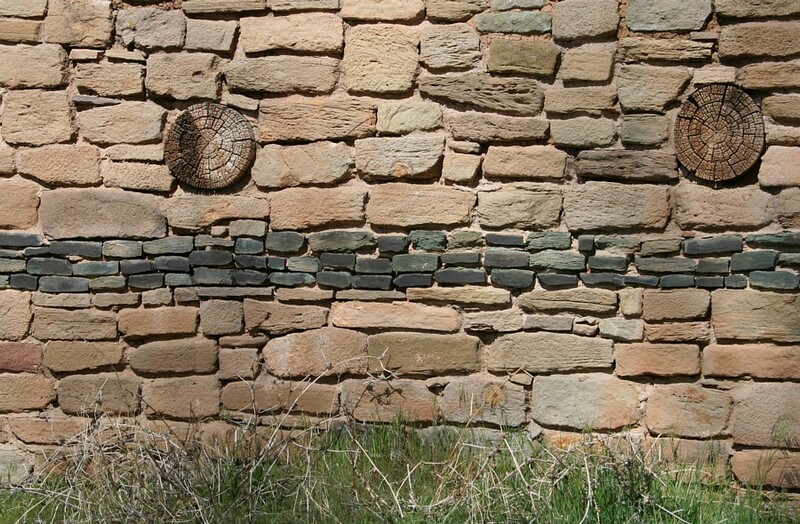 Geologist Dr. John S. Newberry found well-preserved, 25-feet-high walls. 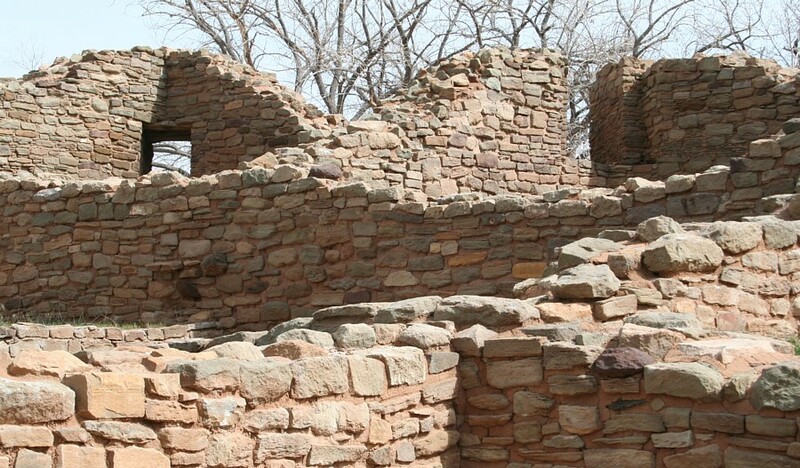 Archaeologist Lewis H. Morgan visited the site in 1878, and observed that much of the stone had been mined for local settler buildings. Local residents also robbed the ruins of artifacts. 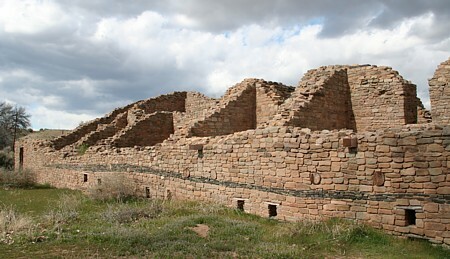 West Ruin, the largest Great House at Aztec, consisted of over 400 adjoining rooms and kivas, and rose to three stories. The carefully planned and built community includes unexcavated pueblos, great kivas, tri-walled structures, earthworks, and many small structures. 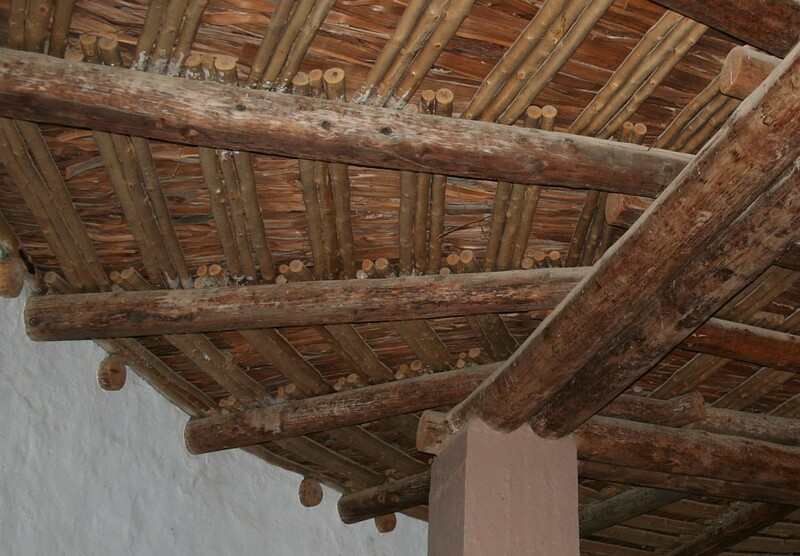 Relationships, orientations, and placement of the structures suggests overall planning was adhered to during the centuries of building and occupation. Above, a portion of the long north wall of West Ruin. Several t-shaped doors open onto the plaza from West Room pueblo. View of the reconstructed West Ruin Great Kiva from the northwest. 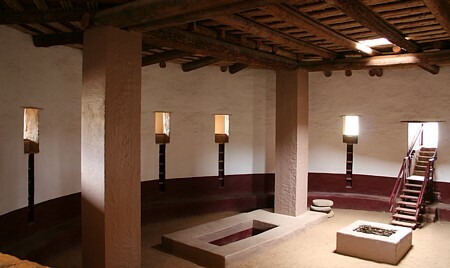 Interior views of the Great Kiva. 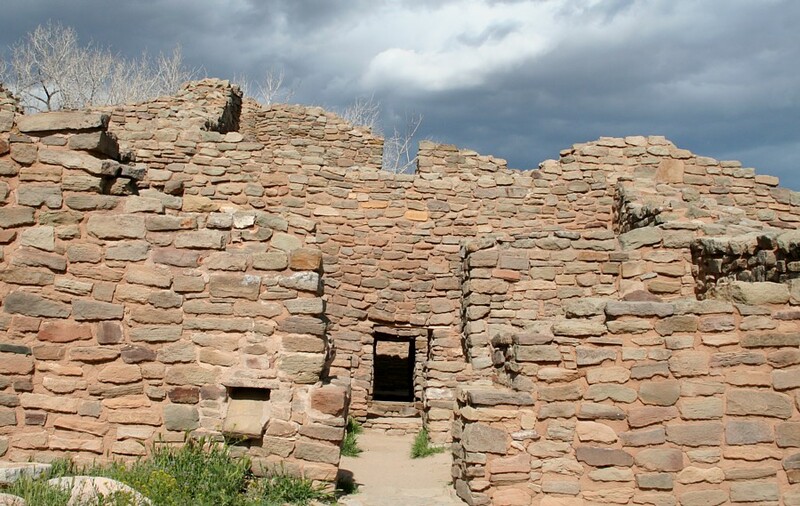 Several upper rooms feature diagonal doorways in the northeast section of the ruins. The east wing of West Ruin viewing across the plaza from the west wing. 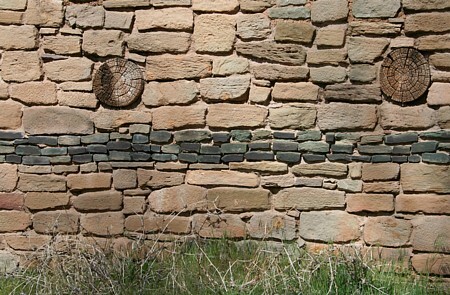 Several bands of green sandstone are a unique feature at Aztec Ruins. 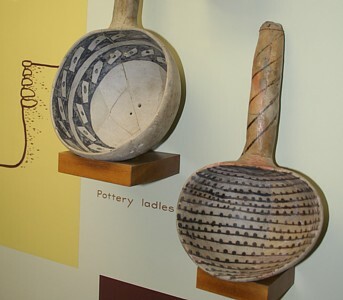 The museum features artifacts from archaeological excavations. During the summer of 2009, I completed more Aztec GPS readings. 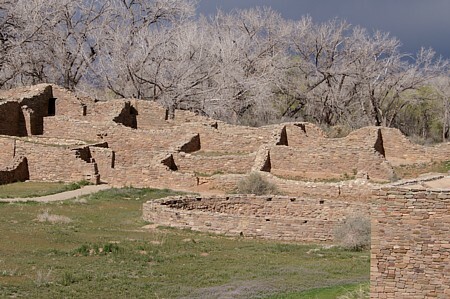 Additional comments are added to the Chaco Meridian page. Aztec Ruins Placemarks for Google Earth - 15 KB KML file. Chaco Culture National Historical Park in Northwestern New Mexico contains a dozen Great Houses, large multi-room masonry constructs. 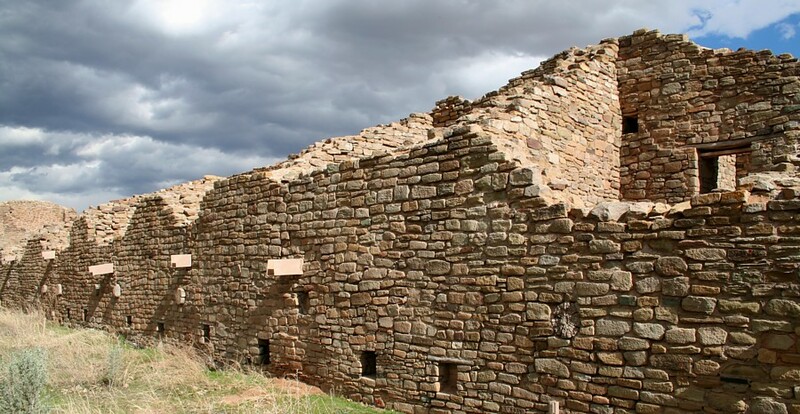 Chaco Culture National Historical Park, official National Park Service home page. The Primary Architecture of the Chacoan Culture: A Cosmological Expression by Anna Sofaer. 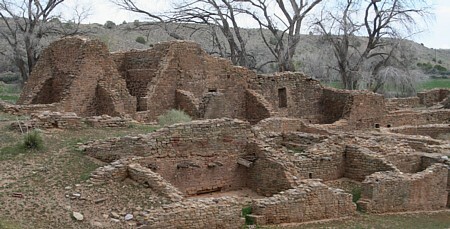 Aztec Ruins National Monument NPS web site. © 2013 by James Q. Jacobs. All rights reserved. Photo Stock. Your comments, inquiries, etc. welcomed. Contact and Educator Permissions.